During the '80's, I studied composition in a local conservatory in Buenos Aires' suburban area after being interested in contemporary music for years before that. I listened to an old vinyl copy of Deutsche Grammophon number 137012 with Karlheinz Stockhausen works "Telemusik" (1966) and "Mixtur" (1964). It was a whole new, strange and fascinating world for me: sound complexity, instruments modified through microphones and filters, music fragments taken from non western cultures and distant sounds aired by early satellite transmissions. Soon, I became a seeker for that kind of recording. Argentina was (and in some aspect still IS) a very difficult place to obtain experimental and contemporary music recordings, a situation that only has been restores in the last years thanks to peer to peer/file sharing music programs available on the internet. But back then, any new record was obtained with a lot of effort. In fact, almost all German avant garde vinyl albums available in Argentina before the CD era were usually only found at the Buenos Aires Goethe Institut library. In the meantime, my composition courses were mainly focused on the first avant garde period with special emphasis on atonalism and the first serial music period from the Viennese school. There were examples given about those kinds of music and it was said that it was "politically correct" to compose this kind of music if you are interested in becoming a contemporary composer. "Sechs kleine Klavierstücke Op 19" (1911) [Six little piano pieces] and "Verklärte Nacht" Sextett für 2 Violinen, 2 Violen und 2 Violoncelli (1899) [String sextet "Transfigured night"], and the "Second string quartet in f sharp minor" (1907-1908) by Arnold Schönberg were a must. Also Alban Berg's "Violin Concert 'Dem Andenken eines Engels'" (1935) and the extremely delicate "Five Pieces for Orchestra Op. 10" (1911, 1913) by Anton von Webern opened a new world for me. But even when I was trying to put it all in a proper context my idea about contemporary music, I was really confused about Stockhausen. How it was possible for him to compose a music that was in that tradition and evolution but had taken a radical different dimension? Months passed and the next composition course has come. Long and exhausting classes took weeks for a "note by note" analysis on "Quatre Études de rythme" (1949 - 50) by Olivier Messiaen and more particularly "Mode de valeurs et d'intensités," the work that enlightened Pierre Boulez and even Stockhausen. All very inspiring, but nothing about the "newer" music. In 1990, I obtained a composition fellowship granted by an important Argentinean foundation. During one year, the students were trained by a group of local elite composers and theorists. Interestingly, there appeared some Stockhausen's works for analysis: "Kontra-Punkte" (1952) and "Kontakte" (1958-60), and of course, it was discussed with certain details his "Studie II" from 1954, a true landmark on the history of electronic music. Of course, it would be stupid not to recognize the relevance of these great works of musical thinking, but it was surprising for me that for these teachers/musicians, Stockhausen's music had been important until say,1963. By that time, I was listening to much more of Stockhausen's work and I knew about his later works and was more open to different compositional strategies that were far more interesting, mysterious and appealing to me. The remarkable thing was that in 1963, another developmental period in the music of Stockhausen started gradually. In "Plus Minus" (1963), he started to use more open compositional strategies including multiple versions due to the symbolic notation of the score. "Plus Minus" recognized ground in previous pieces but in a wider context, formed by seven symbolic forms and another seven pages including pitches. As Stockhausen said: "In the course of composing PLUS-MINUS, I consistently endeavoured to create the conditions suitable to living organisms, an environment favourable to 'musical beings' subject to an irreversible process of absorption and rejection of new material, experiencing mutation or even death." In the same period, Stockhausen has developed strategies as his "moment- Form" in works as "Momente" (1962 - 64) and the large scale electroacoustic composition "Hymnen" (1966-67), but his next radical step would take a couple of years more to realize. "Prozession" (1967), is a score entirely built with signs "+" , "- " and " = ". This work takes a transformational process of musical parameters, grounded only in those signs and avoiding any kind of translation, preparation or rehearsal before the performance. " + " signs are related to treble, intense or longer sounds and "- " is related to lower, softer and shorter kind of sounds. Surprisingly, these strategies could be similar to certain compositional methods developed by the "New York School" (Cage, Feldman, Brown and Wolff). The prima material for the sound transformation was taken from Stockhausen earlier works like: piano ("Klavierstücke I - XI"), tam tam (gong, from "Mikrophonie I"), viola (from "Gesang der Jünglinge" and "Momente") and "electronium" (a monophonic electronic instrument resembling an accordion, from "Solo" and "Momente"). Stockhausen himself was an active group member, playing an assortment of electronic tools such as filters, potentiometers and sound projectors. Some of his pieces cues remarks for the interactive musical process: certain signals from one of the musicians alerting another to follow and play at the same register of pitches or in similar time divisions. After playing, Stockhausen usually encouraged musicians to take sound events from each other even during long sections and pass them on to each other in order to reach a state in which similar sound actions would "travel" or flow back and forth between the musicians. One of the closest Stockhausen collaborators at that time, Rolf Gehlhaar, had an interesting though about the attitude behind these sound experiments: it was "a leap of faith," he believed (something that I understood many years after). The process became deeper in "Kurzwellen" (Short Wave, 1968), in which every musician didn't know anything about the kind of sounds that would be transmitted through a short wave radio and loudspeaker system. Each one of the musicians would react to those unpredictable sounds and according to Stockhausen, the instruction of the score would drive them to multiple version possibilities. Instruction based compositional rules were focused on how to react, imitate or modulate shortwave sounds as well as how to transpose those sounds in different tempos, spaces or pitches and the kind of interplay that would happen simultaneously or in different instrumental combinations. The musicians would decide about how much time they would react to each other or how they would play in expanded or contracted time and how to brighten or darken the sound quality. Each one of the players had a short wave radio and each playing part had silences of different lengthes. Sound events could be played with the instruments, the radio or even in a mixed way. The score had indication signs concerning dynamics, durations, register and the number of sections. Stockhausen arrived to a deeper stage of his work through a very difficult life event. During May 1968, his relationship ended with visual artist Mary Bauermeister (her atelier in Köln, was a key place for German Fluxus activities; also Bauermeister and Stockhausen had two children, Julika and Simon). He also suffered an extreme introspective depressive state. For entire days, he didn't take any food and even his thoughts drove him into the possibility of suicide. A short time before that, Stockhausen came in contact with the writings of Sri Aurobindo (an Indian Yoga master and author born in Calcuta, 1872) from which he was so impressed with the idea to reduce and "clean" intellectual thinking processes as a way to reach higher consciousness states. This state of "emptiness" was very in tune with many ideas (mostly from counterculture) at the time and certainly this kind of philosophical statement transformed his compositional methods. Certainly this creative period was very disturbing for most of hyper-structuralist avant-garde and mainstream composers from the academy due to their ideas about rationalism and "responsibility" of the composer. Interestingly, Stockhausen did not reject his own previous ideas on composition. This period would be just another step on his own path and development. "Aus den Sieben Tagen" was written on May 1968. It was a collection of fifteen short texts on intuitive music in which the composer was not worried about the strict writing of notes. The texts were highly suggestive situations for the mind and the body and it is possible to find inside them an abstraction process that goes on further from his previous pieces: collective creation, sound introspection, focus on listening to the other players, sound events as different "grey areas" between extreme range, information theory aspects (redundancy vs. entropy, for instance) and the idea on the musician as a "radio receiver" (a medium as the opposite to egocentric professional divo player). He saw music as a continuous kind of flow in physic and metaphysical ways. Most of the Darmstadt generation of composers saw this period as a mistake, but for Stockhausen, acoustics research, radio transmissions, electronic music and even science were not opposite to old mythological traditions like that of Persian, Egypt, India in which world creation it came from a divine resonance. Neo Platonism, Catholicism and German anthroposopher Rudolf Steiner crossed pathes with ancient mystics like Meister Eckhart (also revisited by John Cage) and Jakob Boehme. Do you know how you can overcome death - which is fear? It was a fascinating thinking process which developed since old days in which Stockhausen was the enfant terrible of the European avant garde. Some strange and special phenomena had flowed, departing from total music writing control and arriving at subtle (elusive, vague for some people) and seductive instructions to reach the existence of a living musical organism. It was a true determinate but non-authoritarian compositional system. to pure, gently, shimmering fire. This last expression gave life to British electronic spontaneous compositional group The Gentle Fire, also very active with Stockhausen as players in the magical composition "Sternklang" (1969- 71), a kind of music for large open spaces under certain conditions: "Sternklang is sacred music. The composition is written for groups of singers and instrumentalists, which are widely separated from each other spatially. The groups should be able to hear each other, above all, when a group has a pause. The musicians must also be able to regulate the overtones of the played and sung sounds, as these are described exactly. We therefore ask the listening participants to keep the silence that is necessary for the musicians. Other works from this period deliver to us to a state in which knowledge, comprehension and astonishment about contemporary art are deeply challenged. "Stimmung" (1968), for six voices singing different overtones on a low B pitch, showed Stockhausen's certain familiarity with this early minimalism period of time, particularly related to slow drones made by La Monte Young since late '50's. Compositional structuralist formulae comes back in "Mantra" (1970) for two pianos, percussion and sound modulation and a second cycle of intuitive pieces was written with the title "Für Kommende Zeiten" (For Times to Come, 1968-70). These pieces were not recorded until 2005 in a version by Ensemble of Intuitive Music Weimar and had the kind of instructional strategies that appeared in "Aus den Sieben Tagen." Each of the pieces could be played as individual works and the collection was written between trips to Darmstadt (Germany), Ceylon (now Sri Lanka), Bali and Japan. Only one of the pieces, "Interval" (a four hand piano duo), was composed at the Alziprato monastery in Corse. The titles were very suggestive of their character as in "Aus den Sieben Tagen": Harmony, Across the Boundary, Outside, Inside, Spectra, Waves, Presentiment, Awake. As I said previously, intuitive music processes imply an evolution and interaction with Stockhausen's earlier work, not denying the outstanding role of form. These pieces claim for a "living" kind of form in which players could act beyond their "natural" (let us say "learned") trend to hyper-professional playing techniques. "Ceylon" is one of the scores dealing with a more rational process applied to intuition, taking a whole series of instructions with great detail. Later works like "Ylem" (1972) and "Herbstmusik" (1974) show very demanding instructions, almost ten pages long but without the classification as intuitive music by Stcokhausen himself. In 1972, another open composition cycle was coming. "Alphabet für Liège" went further in a ritual (or even a happening) direction. "An event lasting no less than four hours, containing 13 "situations". Those "situations" are to be performed in 14 rooms that are connected with open doors and windows. The audience can walk freely between the rooms, experiencing the "situations" at will. The premier of "Alphabet for Liège" took place in Liège in the basement of the radio and television building in the Palais de Congr�s, which was under construction at the time. That meant that there were no doors or windows installed; just openings everywhere. As a preparation for the performance of "Alphabet" the walls, the ceilings and the floors were completely whitewashed. A whole performance was not released on CD though it is known a film made by Belgian Radiotelevision at Li�ge and there was an original Deutsche Grammophon recording (later reissued by Stockhausen Verlag) of the first part, "Am Himmel wandre ich" (In the Sky I am walking). This set of pieces were composed from American Indian songs for two voices. Two singers are sitting in front of each other and play songs with texts from different Indian cultures. Themes are mostly archetypal like dreams, love, war, death, prayer, visions and the weather. Stockhausen's work shows us a cultural challenge rarely considered in the contemporary art world from the last decades. After this intuitive music period and during the last thirty years until his recent death, Stockhausen had dedicated his efforts to composing the enormous opera cycle "Licht" (Light), which appears as a very different matter from the topics from his intuitive period. Stockhausen's work implies a strong challenge mostly in front of the dominant culture of extreme rationalism (in a pseudoscientist materialist tradition or in the postmodern mock attitude) in the contemporary art world. Stockhausen also offers to us an intriguing and controversial combination of extreme formalism and openness to intuition and even metaphysical concerns. These crossroads have been just insupportable for most of "early period" fans of Darmstadt fashioned composition. The religious and mystic attitudes of Stcokhausen are hardly resisted by most people educated in certain materialist, academic, Marxist or technical traditions. In fact, recently one of the leading musicologists from Argentina told me (even in a very respectful attitude) that "It's true, Stockhausen work has different stages with different kind of intellectual processes involved, but for me he always will be the genius that composed 'Kontakte' and 'Gesang der Jünglinge'." 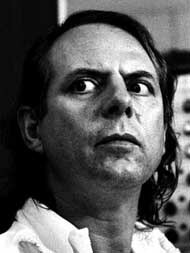 Many times, Stockhausen said that most of his colleagues didn't accept any kind of spiritual attitude or interest. They didn't accept the possibility of the composer and player functioning as a radio receiver because they thought that music sprang forth from their own property and most of players found that written music was also their property just to express themselves. Sometimes Stockhausen talked about how intuition was something that you can reach after certain effort: the interaction between formalism and enlightenment is something that you find , for instance, like a "sound vision" but you must work hard in order to have materialize it. Kohl, Jerome: "Serial determinism and "intuitive music", In Theory Only. Journal of the Michigan Music Theory Society vol.3, number 12, March, Ann Arbor, Michigan 1978.